I have kind of a biased opinion when it comes to Swedish black metal since most of my favorite bands come from that country, but the debut release "På Förtvivlans Krön" from Svärta is something that I think everyone should take notice of. It's kind of hard to make a comparison when giving this a listen and I really like that. It is, of course, black metal but they really have this drawn out, dirge-ridden sound that is unique in how they present themselves. It really has this nihilistic misanthropic energy that is hard to miss. The howls of agony backed by doomy melodic riffs that swiftly transition into great mid- tempo black metal passages that give it a more atmospheric quality. As the album progresses, the band keep the same pace for much of its entirety, and they have really crafted this feeling of absolute despair. I don't want to label it as "Depressive Black Metal" because it doesn't fit the status quo. But it really has this feeling of being dragged down and made to see how ugly you really are when you stare into yourself. It is so doom inspired black metal when you really try to put an explanation of how to describe what you are hearing. The quality of the album is what really grabs me because they didn't just write a run of the mill trendy black metal record. It stands on its own as something that is not necessarily ground breaking but very well written, atmospheric doom inspired black metal. The riffs are absolutely great and the passages they created are excellent. One moment its a very hypnotic clean section and then breaks into a melodic mid-tempo'd driven riff and then bursting into blast beats as the aggression kicks in. As I listen and get a better feel for the album, In ways, it reminds me of Leviathan's "Tenth Level of Suicide" with its heavy emphasis on demise, dread and nihilism. 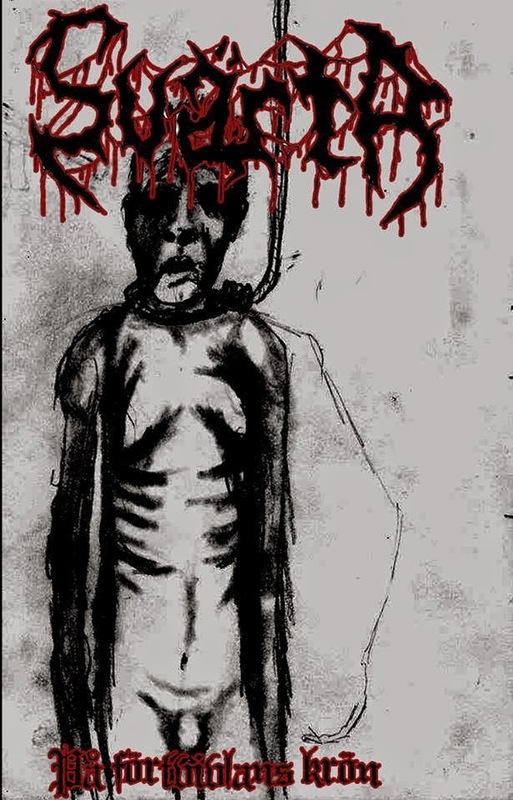 The artwork (drawn by one of the members) really compliments the comparison of the whole vibe with its crude images of dead men swaying in nooses. The vocals are another element of this band that gives it a very misanthropic feeling with its howls of agony, and tortured screams. This album is very refreshing to me because it has its own vibe, instead of trying to copy something else. I think this is a great record that everyone should give a listen. If you enjoy the dragging doom-laden atmosphere, and the raw lo-fi style of black metal, you really won't be disappointed in this. 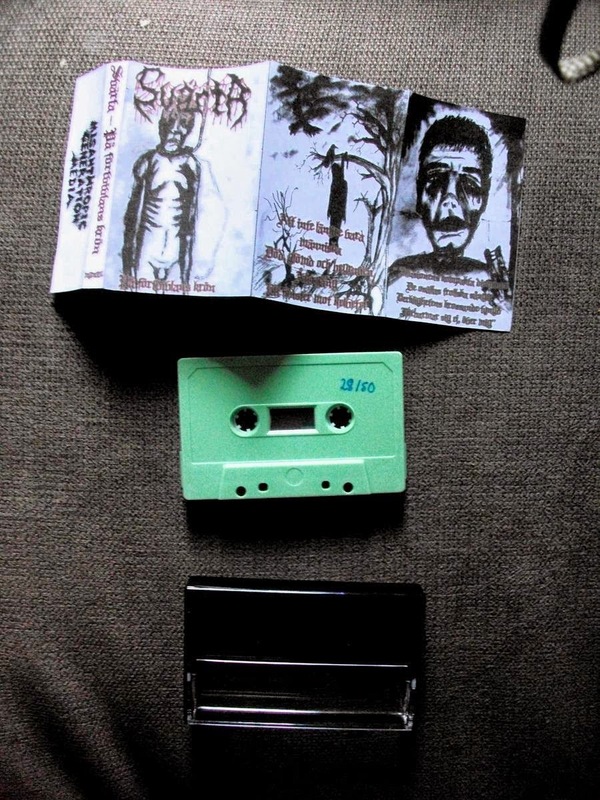 På Förtvivlans Krön is available now on cassette and digital from Misanthropic Generation Media.